I’m 0 for 69. Once again, the Nobel Prize winners are being announced, and I won’t be among them. Or make that 0 for 382, counting all the categories available in the years of my lifetime. And pretty soon baseball’s misnomered World Series will start, and again I won’t be playing on the winning team, or even the losing team, The closest I ever got was attending two World Series games and witnessing one of baseball’s most famous moments. I’ve never won a Pulitzer, an Oscar, an Emmy, a Tony or a Grammy. I did once get a World’s Best Cousin mug, and I’ve received a few World’s Best Father and World’s Best Husband greeting cards, but they were not very convincing. 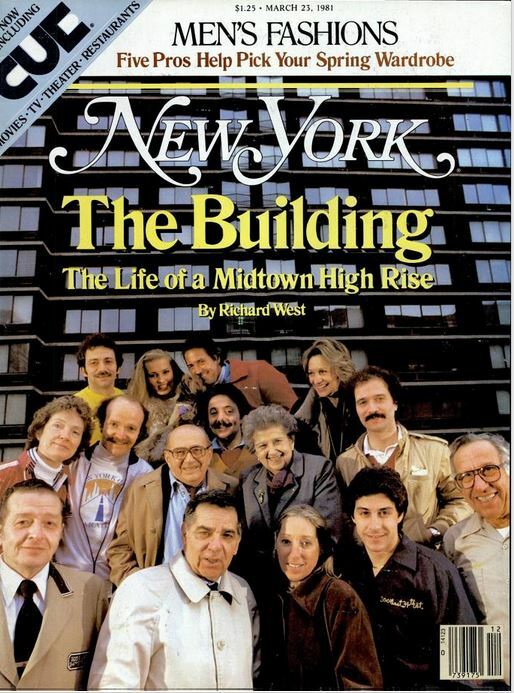 I’ve never been Time magazine’s Person of the Year, but I was once on the cover of New York Magazine. That’s me toward the left with the bald head, mustache and 1980 New York Marathon T-shirt, which no longer fits me. By now you get the idea. I need not belabor it. I have not achieved Greatness, at least not by a widely recognized measure. Nor have I achieved Greatness in my own mind, although I am working on it. We satisfy ourselves with tidbits like employee of the month and the speech made at our retirement party. There are a few tidbits of which I’m abidingly proud. I’ve been published on the op-ed page of The New York Times. The Unitarian Universalist Church in Reston (Virginia) elected me as its president. In 1979 and ’80, I ran three marathons. A good woman with an important and outstanding career accepted me as her husband, and together we have done the best we could as parents. And we have supported each other through life’s challenges. In my family life, I’m content to measure my success or failure on my own terms. But for whatever reason that doesn’t apply to what I do outside the family. When I submitted my draft op-ed article to The New York Times, I liked it. I knew it was good. But that needed validation. I wouldn’t remember it today and cite is as a proud accomplishment if the Times had not accepted it. So I’ll go on writing for myself in the hope that it does you some good, too. I’ll allow myself to watch the readership stats and the “Likes” and “Follows” and comments, and I’ll continue to be deeply grateful for them. But the trick is to know that I can l be satisfied without them. As for that moment of baseball history, it was Game 6 of the 1986 World Series, A Mets fan, I had seats along the first-base line, in the shallow outfield of Shea Stadium. The Red Sox, ahead three games to two, scored two runs in the top of the tenth inning to go ahead 5 to 3. With two outs in the bottom of the tenth, it seemed over. The Shea scoreboard flashed the words: “Congratulations, Red Sox.” And then an astounding series of things happened, resulting in two runs for the Mets, Finally the Mets’ Mookie Wilson hit a slow roller toward Red Sox first baseman Bill Buckner, and that would have taken the game into the 11th inning if Buckner had not charged the ball and miss it, letting it roll between his legs. A runner scored from third base, and the Mets won the game, and the following night’s game. Wilson and Buckner brought me a great deal of joy that night, although Buckner probably wishes he hadn’t. I hope they both feel satisfaction from their careers in baseball. How funny – I just journaled the other night with a similar theme: blogging is fun, but the ‘likes’ and ‘comments’ and inherent validation are not all that matters, and not the main reason we write – although sharing yourself with others through writing can be exhilarating. A great reminder.